One of the most profitable and stable ICO projects of 2018. 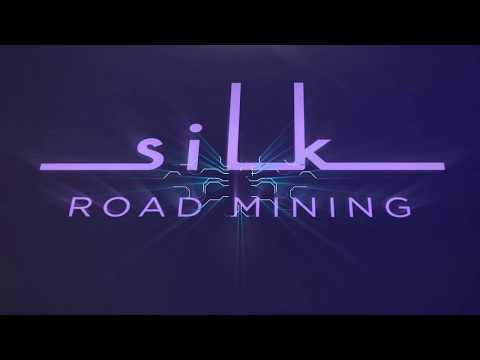 The Silk Road Mining (SRM) project was founded in 2018 by a team of specialists from diﬀerent countries, mainly from China, Kazakhstan, UAE, with the support of BITT Inc. We oﬀer our client's industrial mining services on the territory of the special industrial zone in the North part of Kazakhstan. The Silk Road Mining (SRM) project was founded in 2018 by a team of specialists from different countries, mainly from China, Kazakhstan, UAE, with the support of BITT Inc. We offer our clients industrial mining services on the territory of the special industrial zone in the North part of Kazakhstan. Assessing the global market, we can conclude that mining has become an integral part of the cryptoindustry, and cryptocurrencies, in turn, are one of the leading economic assets of the world, exceeding the capital of huge payment systems such as VISA, MASTERCARD. But, on the other hand, such a rapid popularization of mining and the growth of complexity have led to the fact that the usual user, given many factors, can not enter into this "business" from scratch. Therefore, we created the SRM project. Since 2012, we are studying blockchain technology, 2015 develop smart contracts and we have recently launched immersion cooling for antminer. Our team together has 23 mining-centre in the CIS, more than 3,000 antminers on service 3 blockchain project, 10 written smart contracts. The SILK ROAD MINING project is a win - win option for investors, because even with the minimum funds collected, we will implement our project to the end and begin to pay dividends to all investors within the specified period. The planned launch of ICO will take place in the summer of 2018, and on 10 March 2019, investors will begin to receive their first dividends. Listing on a Cryptocurrency exchange and purchase of equipment. Payment of the first dividends.